First American Woman to Climb Mt. Everest, Author and Inspirational Speaker. 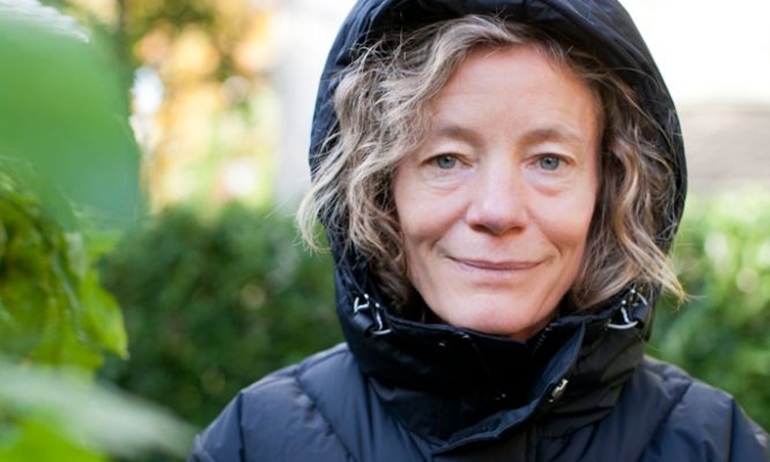 Stacy Allison has climbed the world's most famous mountain. Now she's helping organizations across the globe scale their own monumental challenges. She combines her business acumen and her spirit for adventure to show her audiences how to thrive in their organizations through courage, leadership, vision, teamwork, risk taking, and personal accountability. Stacy's high content, tailored, dynamic presentations will encourage and inspire you to take a visionary look at opportunities and move beyond your limits. The future will never look the same! 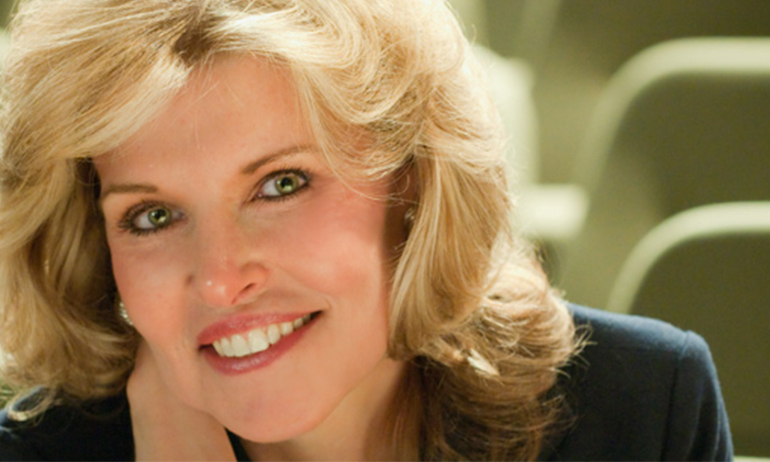 Stacy brings a vast range of experiences and knowledge to her energetic and dynamic presentations. She is best known as the First American woman to summit Mt. Everest. She is also president of Stacy Allison General Contracting, a residential building company. She and her team of builders specialize in high end restorations, where they steadfastly preserve the charm and integrity of classic old homes, while achieving financial success. At the age of 21, Stacy began major alpine climbing in earnest and achieved rapid success. Within a year, Stacy reached the top of Alaska's Mt. McKinley, the highest point in North America, and was part of the first successful women's ascent of Ama Dablam, the 22,495 foot peak known as Nepal's Matterhorn. These accomplishments provided the groundwork for much greater accomplishments. Stacy's first book, Beyond the Limits: a Woman's Triumph on Everest, is a suspenseful, triumphant adventure story. Her second, Many Mountains to Climb: Reflections on Competence, Courage and Commitment, is an exciting anecdotal account of climbing challenges practically applied to help you plot your way more surely to professional and personal success. Stacy also contributed a chapter on Leadership in the book, Upward Bound. Stacy serves on the Board of Trustees of National University and is the Chairperson for The American Lung Associations fundraiser - Climb for Clean Air. Remarkably, among all of her accomplishments, she proudly is a committed mother of two. One of the country's leading speakers on motivation and vision. As one of the world’s foremost speakers on motivation and vision, Eric Bailey draws on his successful careers in professional sport, executive management and sales. His life experiences have enriched his endeavors and given him a unique perspective that he is now offering to the world. While he had a difficult start growing up in South Central Los Angeles, he has gone on to deliver powerful and inspiring keynotes that speak to every group and gender. In fact, Eric has spoken to more than 3 million people worldwide and is Google ranked No. 1 Activational Speaker. In 2015, he was voted as on of the Top 22 Motivational Speakers in the world. With over 20 years’ experience inspiring and motivating millions of people, Eric commands a room like no other, leaving his audiences in awe. Whether delivering his message to corporate teams or student groups or conducting personal mentoring and coaching, he is the spark that ignites the passion in each of us. 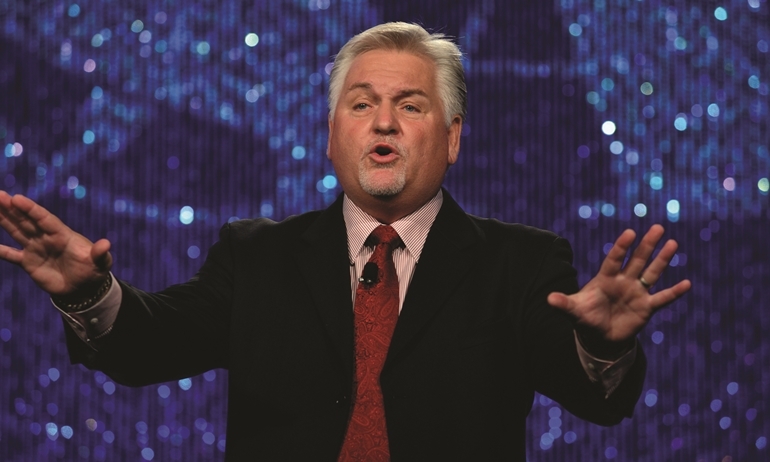 Eric holds the Certified Speaking Professional (CSP) designation, conferred by the National Speakers Association and the International Federation for Professional Speakers. The CSP label has strict standards and a rigorous five-year certification process during which time speakers must demonstrate both experience and expertise. Less than 10% of all speakers worldwide have this certification and it represents one of the highest achievements possible for a speaking professional. As a professional basketball player, Eric’s versatility and his ability to do it all made him shine and stand out from the crowd. As a speaker, his wisdom and insight have helped him rise to the top. Two worlds come together to form one being. 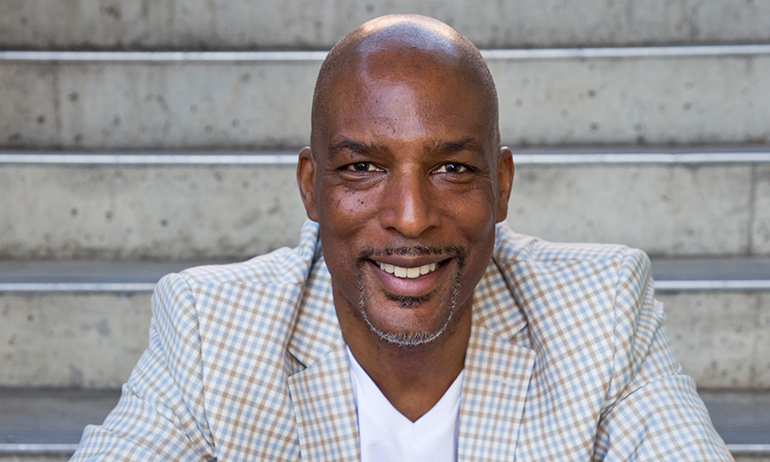 Eric’s ability to crossover and connect with audiences of all ages and backgrounds makes him one of the world’s most dynamic speakers. When Eric Bailey’s towering 6'5" frame steps onto the stage, he gives his audiences more than just a presentation; he connects with them on an intense emotional level. Clearly, he is a powerful force both physically and motivationally. Eric customizes all his presentations for the group to whom he is speaking. He immerses himself in his audience’s culture. Using positive energy and wit, he fills the room with an excitement that can be felt immediately and never fades during the course of a talk. 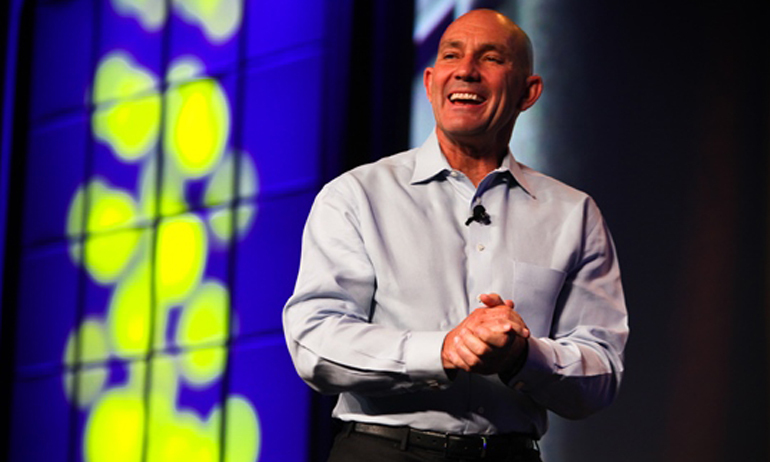 His inspirational stories, along with actionable takeaways, make a real difference. Eric has the ability to touch everyone in the room with his openness, authenticity, and passion. Eric Bailey has participated in many charitable activities and personal areas of public interest. Among them, he is the ambassador of three non-profit organizations including White Ribbon, dedicated to preventing men’s violence against women, Adopt Change, which transforms attitudes and laws affecting adoption, and Nourish Children, that addresses childhood hunger around the world. Together with these accomplishments, Eric has recently been featured in the highly acclaimed World Class Magazine. He has just released his much anticipated first book – Bring Your A Game. Inspiring adventure speaker, deep sea explorer who discovered the RMS Titanic. 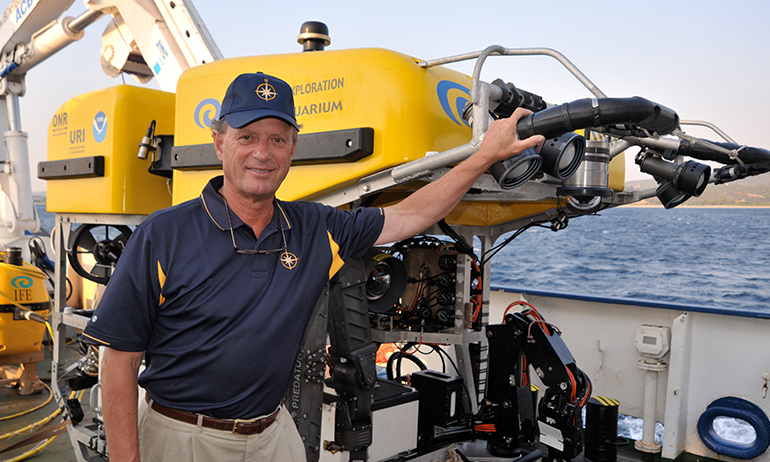 Best known for his 1985 discovery of the TITANIC, Dr. Robert Ballard has succeeded in tracking down numerous other significant shipwrecks, including the German battleship BISMARCK, the lost fleet of Guadalcanal, the U.S. aircraft carrier YORKTOWN (sunk in the World War II Battle of Midway), and John F. Kennedy boat, PT-109. While those discoveries have captured the imagination of the public, Dr. Ballard believes his most important discoveries were of hydrothermal vents and black smokers in the Galapagos Rift and East Pacific Rise in 1977 and 1979 along with their exotic life forms living off the energy of the Earth through a process now called chemosynthesis. Ballard was born June 30, 1942, in Wichita, KS but moved to California at a very young age and grew up exploring the shore in San Diego. Dr. Ballard has a Ph.D. in marine geology and geophysics from the University of Rhode Island. He spent 30 years at Woods Hole Oceanographic Institution, where he helped develop telecommunications technology to create "tele-presence" for his education initiative, which allows hundreds of thousands of schoolchildren to accompany him from afar on undersea explorations around the globe each year. In 2001, he returned to the Graduate School of Oceanography at the University of Rhode Island where he is presently a tenured Professor of Oceanography and Director of the Center for Ocean Exploration. Dr. Ballard has 21 honorary degrees and six military awards. He was also a Commander in the U.S. Naval Reserve, serving in the Navy from 1967 to 1997. He received the National Geographic Society's prestigious Hubbard Medal in 1996 for extraordinary accomplishments in coaxing secrets from the world's oceans and engaging students in the wonder of science. In 2014, he was elected to the American Academy of Arts and Sciences. Dr. Ballard has published numerous books, scientific papers, and a dozen articles in National Geographic magazine. Dr. Ballard also has been featured in several National Geographic television programs, including the record-breaking Secrets of the TITANIC. His discoveries also include sunken remains of ships along ancient trade routes in the Mediterranean Sea; two ancient Phoenician ships off Israel, the oldest shipwrecks ever found in deep water; and four 1,500-year-old wooden ships, one almost perfectly preserved in the Black Sea. Dr. Ballard's Black Sea project seeks evidence of a great flood that may have struck the region thousands of years ago. His 1997 best-selling book, Lost Liners, tells the story of the great transatlantic liners through memorable wrecks he has visited. Dr. Ballard was also a special advisor on Steven Spielberg's futuristic Sea Quest, DSV television show. An explorer, discoverer and historian, Dr. Ballard's fascinating journeys can teach us a great deal about our past, and they have encouraged others to take tremendous strides in the survey of the undiscovered mysteries of the deep sea. Adventure Racer, Firefighter, Speaker on Leadership and Teamwork. Robyn Benincasa - NYT Best-Selling Author of How Winning Works: 8 Essential Leadership Lessons from the Toughest Teams on Earth and World Champion Adventure Racer - accepts full blame for inspiring people to do insane things like climb Mount Kilimanjaro, run their first triathlon, start their own adventure racing teams, or start their own businesses. This is, after all, who she is and what she does: Robyn Benincasa inspires people to do amazing things. Her unforgettable presentations have taught countless high-performance leaders all over the world about Building World Class Teams and the followership skills necessary for dynamic role shifting and true teamwork. Benincasa has made an art form of extreme performance by competing and winning at the highest levels of sport and business. Revered as one of California's Fittest Women , she spent her youth competing at the state and national level in gymnastics, diving, cross country, and judo, in which she became a national champion. Soon after earning a Marketing degree from Arizona State University, Robyn started at the top in a Fortune 500 pharmaceutical company where she earned the prestigious Rookie of the Year award. While consistently achieving top sales in her day job, Robyn completed six Ironman races, with two podium finishes. Then the adventure race bug bit. In her 15-year career as a professional adventure racer, Robyn Benincasa has competed in close to 40 expedition-length events - gnarly, multiday, multisport killers such as Primal Quest and Eco-Challenge. She has biked through jungles in Borneo, climbed Himalayan giants in Nepal, trekked across lava fields in Fiji, rafted rapids in Chile - and racked up multiple world championship titles along the way. In her spare time, Robyn, is a full-time firefighter in San Diego, on the nation's first all-female crew. NBC, ABC, CNN, ESPN, USA Network, Discovery Channel, Outdoor Life Network, PBS and FOX have all featured Robyn and her amazing accomplishments. Add to those network credits editorials in Fast Company, Sport Illustrated, Vogue, Corporate & Incentive Travel, The New York Times, Outside, and Harper's Bazaar. Benincasa launched World Class Teams and its sister company Flashover Seminars to bring her unique and inspiring perspective on teamwork to the corporate world via keynotes, seminars and teambuilding programs. Starbucks, Boeing, Lockheed Martin, Aramark, Honda/Acura, Tony Robbins, Allianz, Wal-Mart, Timberland, Napster, AT&T and Earthlink rely on Robyn's Extreme Performance: Why Winners Win , High Performance Leadership and her signature program The 8 Essential Elements of Human Synergy . Robyn Benincasa founded the Project Athena Foundation, a nonprofit dedicated to helping women who've endured medical setbacks achieve their athletic dreams, whether it means climbing Mount Kilimanjaro or running a local 10K. The goal? To encourage survivors not just to survive - but to thrive in the wake of their diagnoses. 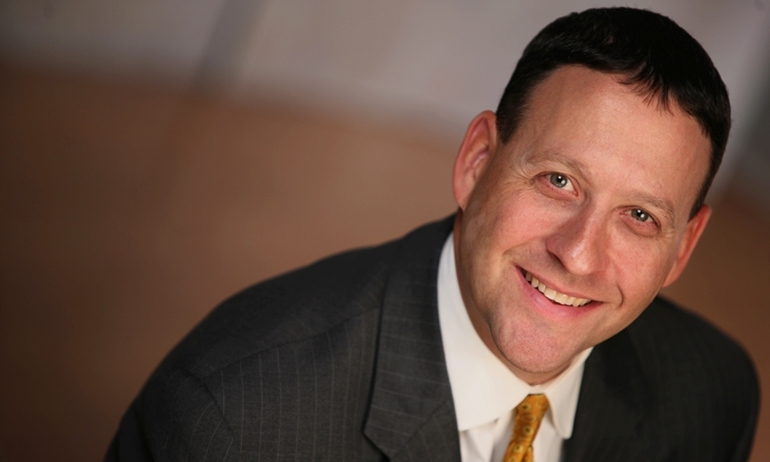 The best-selling author of nearly 50 sports books, Ross Bernstein is an award-winning business speaker who helps companies and organizations perform more like champions. Ross and his books have been featured on thousands of television and radio programs over the past 20 years, including CNN, MSNBC, CBS This Morning, FOX News, Bloomberg, ESPN, Sports Illustrated and the CBC, as well as in the Wall Street Journal, New York Times, L.A. Times, USA Today, and Maxim Magazine. Ross' signature program, The Champion's Code: Life Lessons of Ethics & Accountability from the Sports World to the Business World, is based on more than six years of research that resulted in two critically acclaimed series of sports-business books. The first examines how and why certain teams win world championships; while the other chronicles the unwritten and unspoken rules in the world of sports, or codes as they are known, which explores the fine line between cheating and gamesmanship - and the consequences involved when that line is crossed. Ross interviewed more than 1,000 professional athletes and coaches for the six books and along the way he saw some fascinating patterns, metrics and trends develop among certain individuals who possessed a very unique DNA. For these unique individuals, or champions, it wasn't always about winning, it was about following their moral compass in order to play the game the right way - with respect and integrity - in order to achieve success. In his presentation, Ross identifies upwards of 100 unique characteristics and traits that are common among champions, which he then ties into poignant life lessons and inspirational stories that relate back to his client's event theme and desired learner outcomes. Based largely on the Good to Great ideology of how the best companies are able to separate them- selves from the rest of the pack through dynamic leadership and extraordinary customer service, Ross' program reinforces the concept that individuals win games, but TEAMS win championships. Momentum, roles, buy-in, motivation, consistency, sacrifice, trust, chemistry, work-ethic, innovation, karma, and being humble - they're all a part of what it takes to become the best of the best - a champion both on and off the field. So... who are the champions in your organization? Ross speaks about 100 dates a year and he'd love to customize a keynote (from one to six hours) for your next annual conference, corporate event, or sales meeting - his passion and energy is contagious and he'd be honored to be a member of YOUR team for the day! Brian Biro is known as America's Breakthrough Coach, and is a speaker and author on leadership, thriving on change, and team building. He has delivered over 1,200 presentations around the world over the last 20 years. A major client described Brian Biro best when he said, Brian Biro has the energy of a ten-year-old, the enthusiasm of a twenty-year-old, and the wisdom of a seventy-five-year-old. A former vice-president of a major transportation corporation and the author of nine books including bestseller, Beyond Success!, Brian was rated #1 from over 40 Speakers at four consecutive INC. Magazine International Conferences. With degrees from Stanford University and UCLA, Brian Biro has appeared on Good Morning America, CNN's Business Unusual, and the Fox News Network and as a featured speaker at the Disney Institute in Orlando. He was recently named one of the top 100 most inspirational graduates of the UCLA Graduate School of Business in honor of their 75th Anniversary. 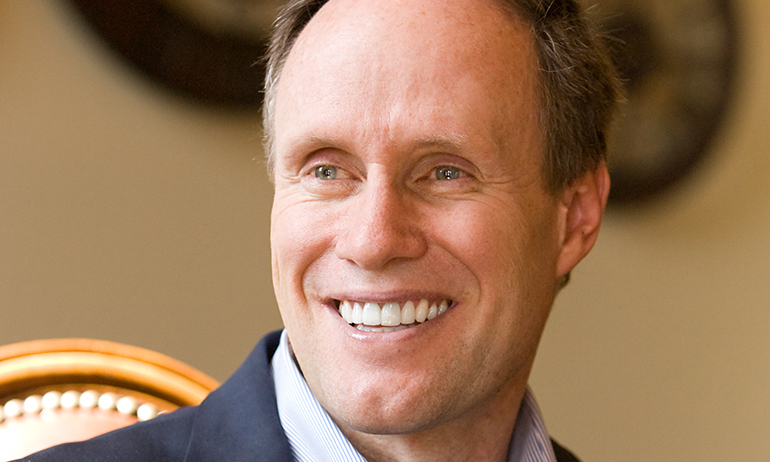 Andy Boynton is Dean of Boston College’s Carroll School of Management, one of the world’s leading business schools, the author of several books and co-creator of DeepDive™, the world’s leading methodology for helping executives harness the power of teams to significantly improve problem-solving speed, innovation and results. 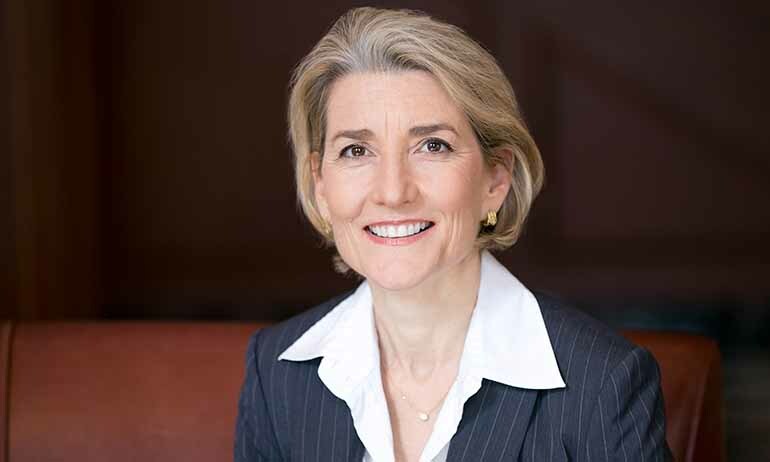 Prior to joining Boston College, Boynton was a professor of strategy at the International Institute for Management Development (IMD) in Lausanne, Switzerland for 10 years. At the IMD he led a faculty team and was program director of one of the world’s top ten Executive MBA programs, as recognized by Business Week. Boynton has recently launched new research projects to explore how distinguished experts from a variety of knowledge-domains work with ideas to achieve professional success and improve their effectiveness in social networks. His latest book, The Idea Hunter: How to Find the Best Ideas and Make them Happen (Jossey-Bass), is based on this research and is co-authored with Bill Fischer and William Bole. He has also published extensively on factors underlying high-performing teams across a variety of disciplines, including art, science, exploration, and design. His previous books include Virtuoso Teams: Lessons from Teams That Changed Their Worlds (Financial Times-Prentice Hall) and Invented Here: Maximizing Your Organization’s Internal Growth and Profitability (Harvard Business School Press). 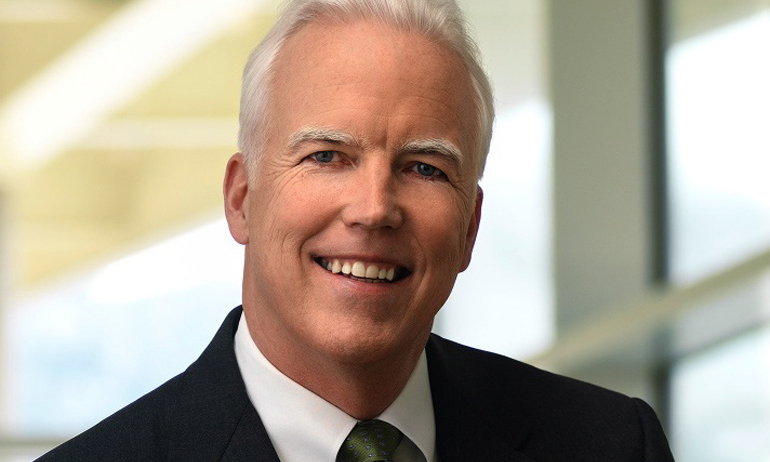 In addition to his publishing career and role as Dean of the Carroll School of Management, Boynton has over twenty years of experience speaking and designing powerful executive education sessions and seminars for firms around the world. He is often utilized by organizations looking to build more innovative and effective teams and his articles in this area have appeared in elite management journals such as Harvard Business Review, Sloan Management Review, and The California Management Review. Captain Larry Brudnicki is the Captain of the Coast Guard ship that performed two dramatic rescues during the real Perfect Storm. These unbelievable rescues are a small part of a thirty-year career assessing risks, making decisions and inspiring teamwork. Captain Brudnicki retired from the Coast Guard in March 2002 after thirty years of active duty. He reported to his last assignment as the Chief of Operations, 11th Coast Guard District, Alameda, CA in August 1997 where he supervised more than 15,000 Search and Rescue cases, which saved 1,600 lives. He also supervised the search for survivors of the Alaska Air Flight #261 tragedy. He had tactical control of ships and aircraft that seized more than 150 tons of cocaine, including the ten largest cocaine seizures in the year 2000 and again in 2001. Using experience gained from leading successful high-risk missions with international visibility to deliver messages of leadership, teamwork and risk management, Captain Brudnicki shows how to achieve success. Looking at what he learned investigating accidents of others who were not so successful, he also demonstrated how to avoid pitfalls. Brudnicki has been featured as commentator on CNN and Fox Business News, and guest expert on ABC, the History Channel, National Geographic, the Discovery Channel, and a myriad of other programs. As a contributor to Real World Management Strategies That Work, he details the 7 Steps to Making the Right Decision Every Time. Captain of Gold Medal Canadian Women's Hockey Team, inspiring sports speaker, talks about leadership and teamwork. Cassie Campbell is a sought after corporate and keynote speaker, drawing on her accomplishments as the captain of both gold-medal winning Canadian Women's Olympic Hockey Teams (2002 and 2006) to explore the topics of leadership, teamwork, determination and coming out of your comfort zone. Millions of viewers around the world heard Cassie's commentary and analysis of Women's Hockey at the 2010 Vancouver Olympic Games. Cassie Campbell won 21 medals with Canada's National Women's teams, including 17 gold medals and four silver medals. She is a six-time World Champion gold medallist, and won silver at the 2005 World Chamionships. Cassie Campbell is the only captain, male or female, to lead Canada to two Olympic gold medals. When Cassie Campbell was dressed for Team Canada, her team had a 129-26-2 record. As Captain of Canada's National Women's Team from 2001 to 2006, she is the longest serving captain in Canadian hockey history. She was also an alternate captain with Canada's National Women's Team from 1997-2001, receiving this honor just prior to her second World Championship appearance. In 157 career games with Team Canada, Cassie Campbell had 32 goals, 68 assists, 100 points, 66 penalty minutes. (Four of her career goals were short-handed and three were game winning goals). Her 100 points rank her 8th all-time with Team Canada's National Women's program. In addition to a very succesful career in sports, Cassie Campbell was also the first woman to do color commentating on Hockey Night in Canada on October 14th, 2006 when the Toronto Maple Leafs took on the Calgary Flames. She currently works as a TV analyst for TSN's women's hockey coverage and for CBC's Hockey Night in Canada. Cassie has worked as a color commentator for TSN, The Score and the NHL Network and does radio work for Calgary Flames games on the FAN 960. She was one of the voices of Canadian Women's Olympic Hockey at the Vancouver 2010 Olympics. Cassie Campbell runs an annual street hockey tournament in Calgary, Alberta to benefit the Ronald McDonald House. Along with Hockey Hall of Famers Bobby Orr and Mike Bossy, Cassie is a spokesperson and host for Hockey Canada's Chevrolet Safe & Fun Hockey program. She is a Special Advisor to Scotiabank for it's hockey programs and properties, proud supporter of World Vision and spokesperson for Callaway Golf, promoting, amongst other things, women in golf. Inspiring Sports Speaker, Legendary CFL Coach. 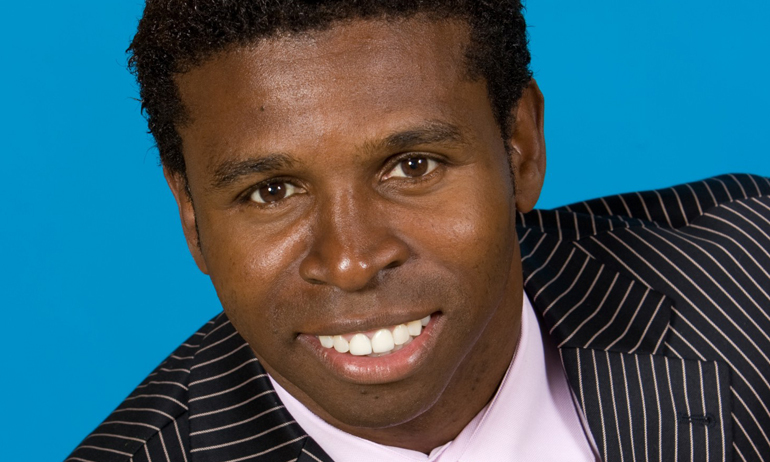 Michael "Pinball" Clemons is a motivational keynote speaker and an icon of sporting excellence, community, personal character and integrity. He's an author, philanthropist, entrepreneur. His keynotes on teamwork and overcoming the odds are both motivating and inspiring. Having graduated from the prestigious College of William & Mary with a degree in economics, Clemons began his career in the Canadian Football League in 1989, after a brief stint in the National Football League. Renowned as one of pro-football's most electrifying players, Clemons achieved a brilliant career, including a pro-football record for most career combined yards with 25,438. He retired with 12 all-time team records to his credit and became Head Coach for the Toronto Argonauts. In this capacity he became the first and only black Head Coach to win the Grey Cup in 96 years. In 2007, the Argos finished in first place for the second time under Coach Clemons' guidance. He is the second-winningest coach in Argo history with 68 wins, second only to Bob O'Billovich, and is one of just three coaches, O'Billovich and Leo Cahill, in team history to coach at least 100 games (124) in Double Blue. Toronto clinched its sixth consecutive playoff berth this season, which tied with Lew Hayman for the longest streak by a head coach in team history. Michael Clemons is also tied for third place, with Cahill, in Argo history for most playoff appearances by an Argonauts Head Coach with six. Clemons has a lifetime regular season coaching record of 68-55-1 and a .552 winning percentage. In 2008, he was inducted into the Canadian Football Hall of Fame. Michael is the founder of his own foundation, Pinball Clemons Foundation, whose most noteworthy project to date is building over 200 schools in third world countries. Also a member of the distinguished Order of Ontario and a Diamond Jubilee medal recipient , Mike's proudest accomplishment is being the husband of Diane, and the father of Rachel, Raven and Rylie. Jim Craig is best remembered for his outstanding goaltending in the 1980 winter Olympics where the United States team beat the heavily favored Russians and went on to win the Olympic gold medal in what’s has been labeled the greatest sports moment of the 20th century. The picture of Jim with the American flag on his shoulders looking for his father is one of the most iconic images of all time. Currently president of Gold Medal Strategies, Jim is this Boston-area based motivational speaking and sales training company. 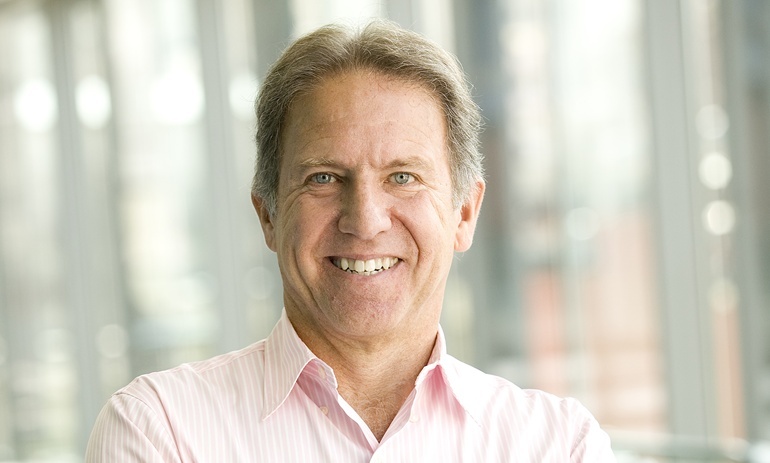 Over the past 30 years, Jim has inspired, instructed, and provided strategic and winning direction for employees and associates from more than 500 organizations and some of the world’s most recognized brands in the country. 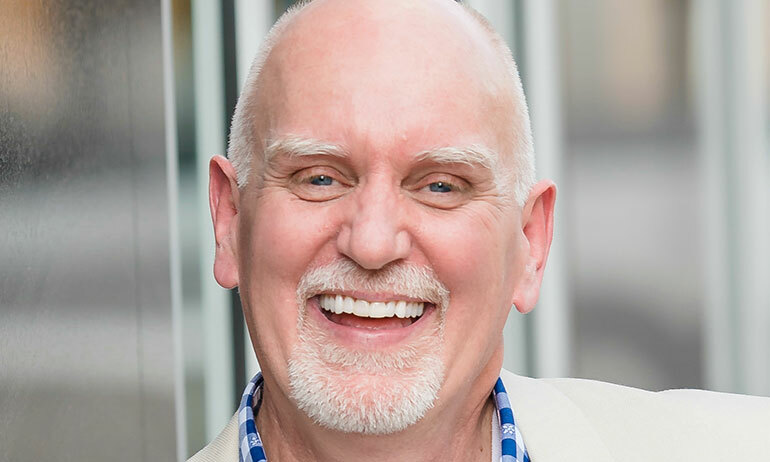 Jim is in demand from coast to coast and internationally as a motivational speaker, spokesperson, marketing and sales strategist, and master storyteller. Jim’s unique life experiences as an All-American goalie and NCAA Champion at Boston University, Olympic gold medalist, professional athlete, actor and highly successful business consultant enables him to provide his audience with insightful real life experiences like no other. Jim is the author of recent business book, Gold Medal Strategies, Business Lessons from Americas Miracle Team, which focuses on his Gold Medal Strategies for Success. 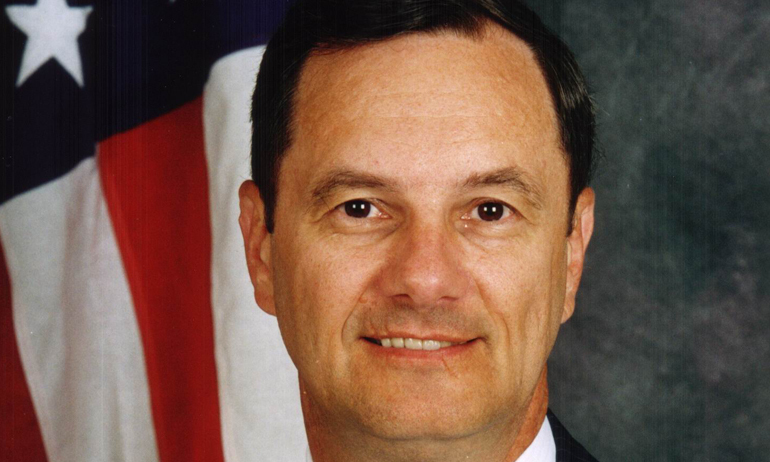 George Dom is a former naval officer and aviator with a career that included key leadership positions in high performance organizations, including four aircraft carrier fighter squadrons and commander of the air wing of the USS John F. Kennedy. He also was an instructor/pilot at the Navy Fighter Weapons School (Topgun) and commanding officer/flight leader of the Blue Angels. After leaving active duty, Dom became a business aviation consultant to Fortune 500 corporations, private companies and high net-worth Individuals. Flying fighter jets in training and combat in the unforgiving environment of an aircraft carrier at sea - as well as high-speed and very low altitude formation acrobatics - was a unique thrill and privilege for George Dom. But what gave him the greatest lasting satisfaction was helping to build high performance leaders and teams. For an organization like the Navy where there is no lateral entry , leadership development was not just the key to success, but crucial to survival. Achieving individual and collective high performance requires High-Trust Leadership and Focused Engagement. This is true in sports, the military, medical teams, and in the business world. Through daily, deliberate, intentional effort, a culture of high-trust and fully engaged wingmen can be developed at all levels. A high-trust team is a force-multiplier achieving results exponentially greater than the sum of the individuals. Dom founded NFS Leadership Consulting to help leaders improve their individual and organizational success through High-Trust Leadership and Focused Engagement. As a former coach with the Human Performance Institute, George can share the science behind developing what Dr. Jim Loehr refers to as Full Engagement: the acquired ability to intentionally invest your full and best energy right here, right now. 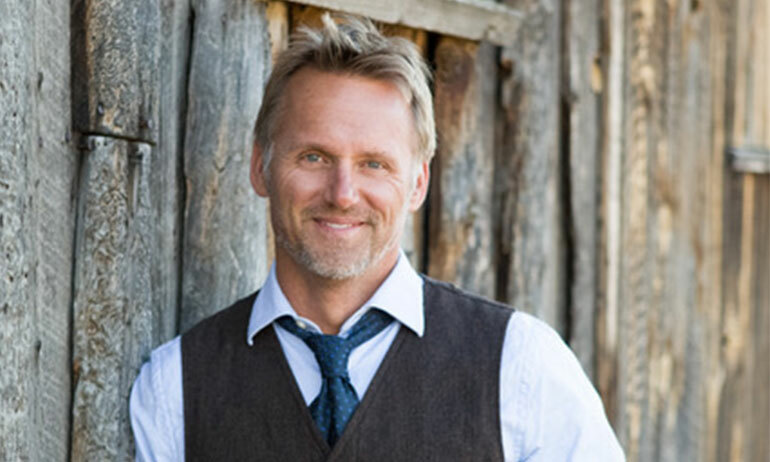 Mark Eaton is a successful motivational speaker, entrepreneur and best-selling author of The Four Commitments of a Winning Team, who has earned the coveted CSP (Certified Speaking Professional) designation, the speaking profession’s highest international measure of professional competence. He has spoken to numerous world-class organizations including IBM, FedEx, Phillips 66, Caesars Entertainment, T-Mobile, LG, and businesses, government agencies and universities at every level. He has been a featured team-building expert on Forbes.com, Inc.com, Wharton Business Radio, Entrepreneur.com and Sports Illustrated. Eaton is an NBA All-Star who played with the Utah Jazz for 12 seasons, led the NBA in blocked shots 4 of those seasons, was named to the NBA All-Defensive Team 5 times, was named NBA Defensive Player of the Year 2 times, and still holds 2 NBA records—most blocks in a single season (456) and career average blocked shots per game (3.5). In addition to his work on team building, Eaton is managing partner in two award-winning restaurants in Salt Lake City, Tuscany and Franck’s, recently voted Best Restaurant in Utah. 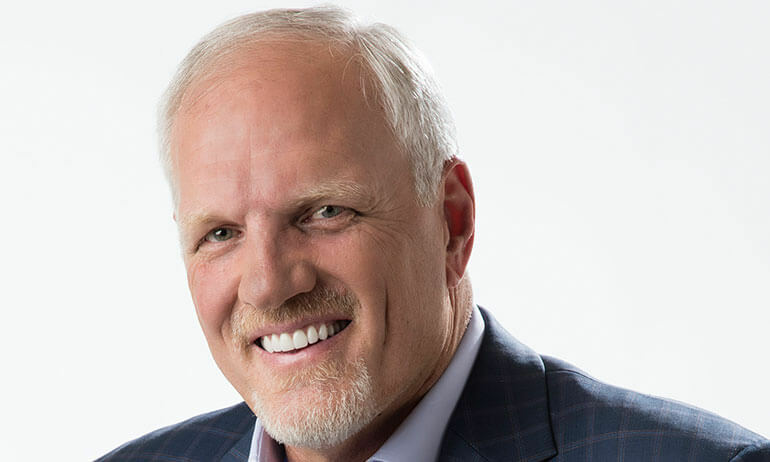 He is also founder and former chairman of the Mark Eaton Standing Tall for Youth Foundation, which provided sports and outdoor opportunities for more than 3,000 at-risk children. He is a former president and board member of the Legends of Basketball, which supports the needs of retired NBA players. He attended Cypress College and the University of California, Los Angeles (UCLA). Eaton’s television and radio experience includes 8 years as host of Jazz Tonight on KJZZ-TV, host of Mark Eaton Outdoors on The Outdoor Channel, and 3 years as host of Sports Health Today, an internationally syndicated radio show. When Mark is not speaking, writing, or working he enjoys traveling with his wife Teri, horseback riding, mountain biking, skiing, and the outdoors. He lives in Park City, Utah with his wife, children, horses, dogs, and barn cats. For over 25 years, adventurer Jeff Evans’ global experiences as a world-class mountaineer, guide and emergency medic have helped him master the skills of servant leadership, teamwork, communication and trust which are the cornerstone themes in his keynote and breakout sessions. Jeff’s amazing adventures and challenges have given him the tools to become one of the most dynamic and motivational speakers on the circuit today, delivering his message to tens of thousands of audience members and changing the way we approach our roles within our work and family environments. Jeff reminds us that, in fact, that we are all guides in some capacity… professionally and personally. By utilizing real life stories, vivid images and thrilling video from his adventures around the globe, Jeff is able to extract the impactful themes that are applicable for every audience member and weave them into memorable, humorous, thought-provoking and paradigm shifting keynotes. Jeff’s skills have been acquired not only on the highest peaks around the world, but also through guiding blind climber Erik Weihenmayer on extraordinarily challenging objectives including the summit of Mt Everest and a 2nd place finish on ABC’s adventure series, Expedition Impossible. While filming the series Everest Air for the Travel Channel, Jeff served as the chief medic and team leader for the highest helicopter-based Search and Rescue team in the world on the flanks of Mt Everest. Also contributing to Jeff’s expertise are his experiences as the co-founder and Expedition Leader for the injured US veteran program, No Barriers Warriors as well as his time spent on the front lines in Iraq leading a team of emergency medics in their efforts to save the lives of injured soldiers and civilians. He is the published author of Mountain Vision: Lessons Beyond the Summit, and is featured in the award-winning documentaries Farther Than the Eye Can See, Blindsight, and High Ground. 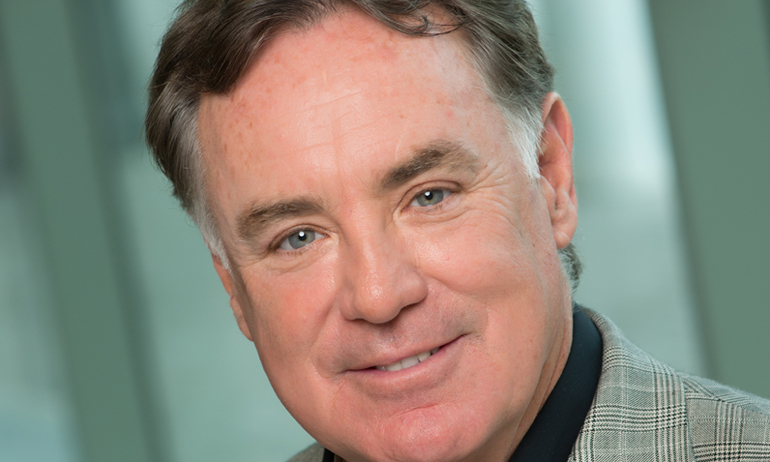 John Foley is a former lead solo pilot of the Blue Angels, a Sloan Fellow at Stanford School of Business, a gratitude guru and an expert in the "how" of high performance teams. His exciting, rare journey inspires awe, triggering audiences to take action and rethink what they believe is possible. John employs those intense realities as a metaphor to motivate teams and individuals to reach their highest potential while empowering organizations to sustain excellence under dynamic change. John consistently performed in an extreme, high-stakes environment, flying at speeds of more than 500 miles per hour and in formations as close as 18 inches apart. To survive in those circumstances, he relied on a culture of high trust and leadership that turns inherently unforgiving flight into extraordinary experiences. 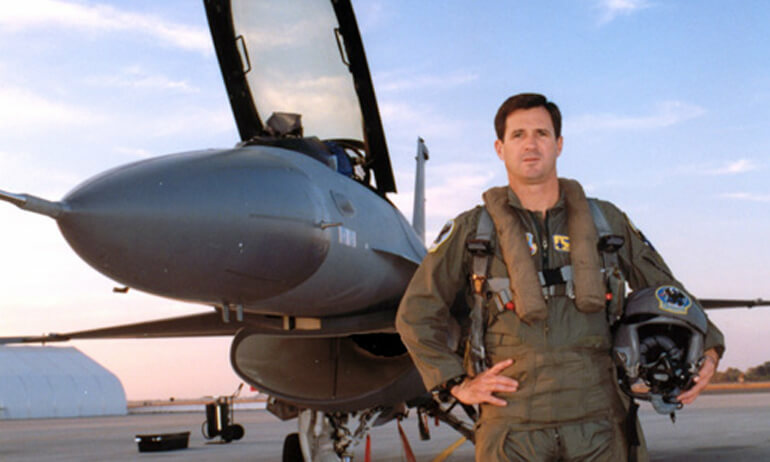 John’s post-Naval experiences as an entrepreneur and a Sloan Fellow at the Stanford Graduate School of Business put him in a unique position to reverse-engineer the culture of excellence and teamwork found in the Blue Angels. He has created a framework and a mythology that inspires greatness while propelling others on their own journey toward higher performance. To further engage on this, John's recent book Fearless Success - Beyond High Performance was released March 2019. In 2015, John "Gucci" Foley was recognized as one of the top 10 most in demand speakers. John has spoken to some of the highest performing organizations such as, Microsoft, Hitachi, Intel, Cisco, Mercedes-Benz, BMW, Goodyear, Chevron, Lowe’s, Marriott, Wyndham Hotels, Hilton, Penske Racing, Rawlings, LA Kings, Sprint, Motorola, Merrill Lynch, Mass Mutual, Capital Group, Bank of America, Wells Fargo, GE Capital, American Hospital Association, Merck, Reach Air, Adecco, Gillette, McDonalds, and Million Dollar Round Table. John graduated from the U.S. Naval Academy with a degree in mechanical engineering. He also was a defensive back for the Midshipmen, playing in two bowl games and helping the Navy to one of the best four-year records in its football history. As a pilot, John was a “Top Ten Carrier Pilot” six times before becoming a Marine instructor pilot and a Blue Angel. He holds master’s degrees in business management, from the Stanford Graduate School of Business (as a Sloan Fellow); in international policy studies, from Stanford University; and in strategic studies, from the Naval War College. A Master Storyteller and Humorous Speaker on Leadership, Teamwork, and Personal Growth. In addition to his brilliant speaking career, Steve is a prolific, accomplished author, evidenced by four of his books - Enjoy The Ride, Making a Difference, Hide Your Goat and Detour - perennially making the publisher’s best-seller list and his being named Author of the Year. His thought-provoking writing style makes his articles a favorite with nationally prominent magazines. He influences the lives of millions through his presentations, books, CDs and DVDs. An extensive array of these products has been utilized by small businesses, Fortune 500 companies, U.S. and Canadian government agencies, churches, school districts and non-profit organizations. Speaking the language of active business leaders, his books and CDs identify practical lessons that grow people and their businesses. Brent Gleeson is a Navy SEAL combat veteran with multiple tours to Iraq and Africa and other theaters of war. Upon leaving SEAL Team 5, Brent turned his discipline and battlefield lessons to the world of business and has become an accomplished entrepreneur, author, and acclaimed speaker on topics ranging from leadership and building high performance teams to culture and organizational transformation. You can learn more about his leadership philosophies in his weekly columns on Inc.com and Forbes.com. He has also starred in several reality shows including NBC’s Stars Earn Stripes where he and Chris Kyle of America Sniper along with other special operations professionals were paired with celebrities to compete and raise money for charities like Wounded Warrior Project. With degrees in finance and economics from Southern Methodist University, English and History from Oxford University in England and a graduate business degree from University of San Diego, Gleeson’s extensive experience is both academic and real-world in nature. 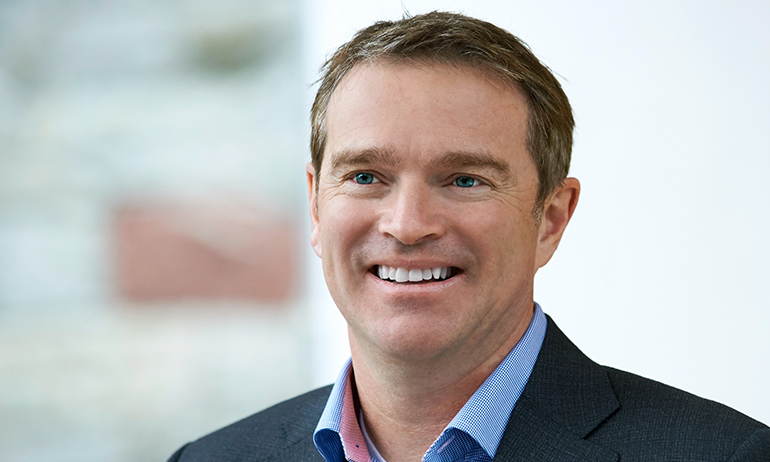 Gleeson has won awards for business leadership and was named one of the “Top 10 CEOs” in Entrepreneur Magazine’s October 2013 issue for his exemplary approach to building high-performance teams in business. He is the author of TakingPoint: A Navy SEAL’s 10 Fail Safe Principles for Leading Through Change, released in February 2018 (published by Simon & Schuster). 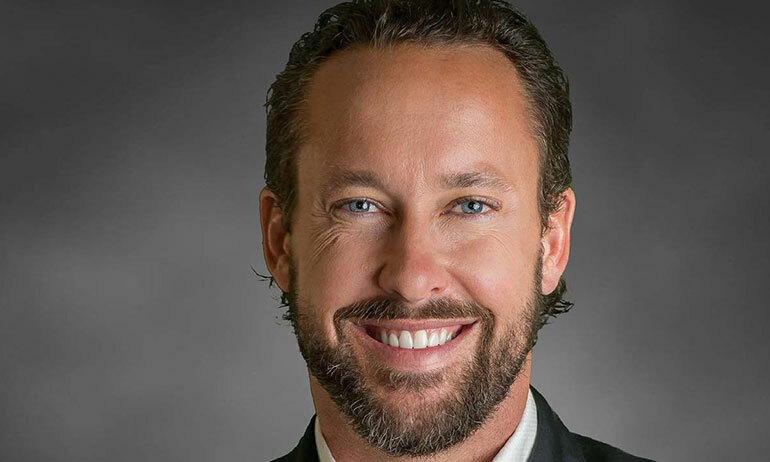 Between his experiences in the SEAL Teams and building award winning organizations that have topped the Inc. 500 list of fastest growing companies, Brent has become a business transformation expert. TakingPoint highlights his ten principle program all leaders and managers will need to lead change and achieve winning results in the twenty-first century business landscape. Brent is on the executive board of the SEAL Family Foundation and his family is an Ambassador Family for March of Dimes. He is married with three wonderful children. 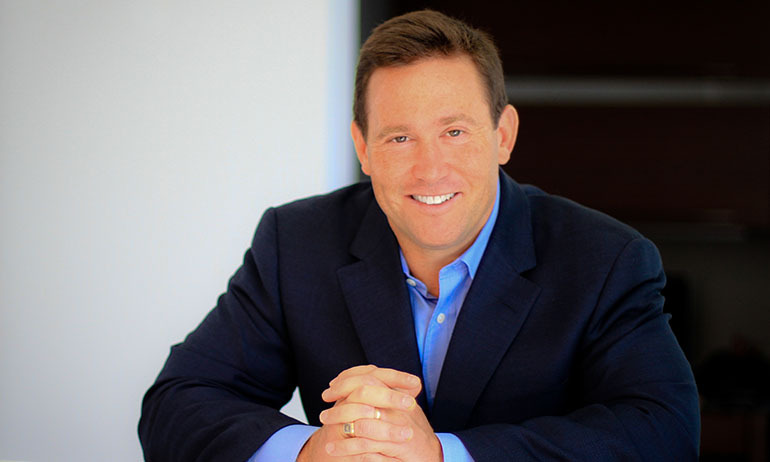 Jon Gordon is one of the most sought after speakers in the world today. His best-selling books and talks have inspired readers and audiences around the world and his principles have been put to the test by numerous NFL, NBA, and college coaches and teams, Fortune 500 companies, school districts, hospitals, and non-profits. Jon is the author of The Wall Street Journal bestseller The Energy Bus, The No Complaining Rule, Training Camp, Soup: A Recipe to Nourish Your Team and Culture, The Seed: Finding Purpose and Happiness in Life and Work, The Positive Dog: A Story About the Power of Positivity, and his latest book The Carpenter: A Story About the Greatest Success Strategies of All. Jon and his tips have been featured on The Today Show, CNN, Fox and Friends and in numerous magazines and newspapers such as The Wall Street Journal andThe New York Times. His clients include The Atlanta Falcons, Oklahoma City Thunder, Campbell Soup, Wells Fargo, State Farm, Novartis, Bayer, Northwestern Mutual, GE and many more. Jon also impacts thousands of teachers and students each year through his work with schools, universities and non-profit organizations. Jon lives in Ponte Vedra Beach, Florida and when he’s not running through airports or speaking to businesses, hospitals or school leaders, you can find him playing tennis or lacrosse with his wife and two “high energy” children. How do today’s best leaders accelerate business results? By engaging their employees to execute on strategy, vision, and values. In his challenging, information-packed talks, #1 bestselling leadership author Adrian Gostick provides real solutions on managing change, organizational culture, driving innovation, and leading high-performance teams. Gostick is a global workplace expert and thought leader in the fields of corporate culture, leadership, and engagement. He is founder of the training and consulting company The Culture Works, and author of the #1 New York Times, USA Today and Wall Street Journal bestsellers All In, The Carrot Principle, and The Best Team Wins. His books have been translated into 30 languages and have sold 1.5 million copies around the world. As a leadership expert, he has been called “fascinating,” by Fortune magazine and “creative and refreshing” by the New York Times. Gostick has appeared on NBC’s Today Show and CNN, and is often quoted in The Economist, Newsweek, and Wall Street Journal. If you Google the 30 Top Leadership Gurus, he is on the list along side Jack Welch and Jim Collins. 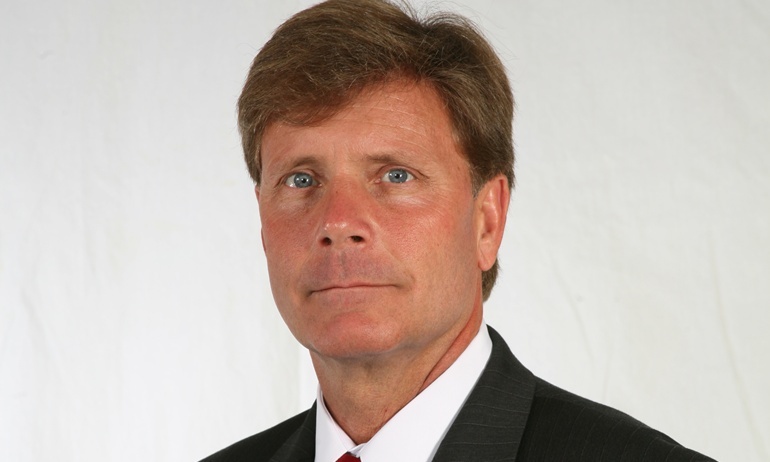 His consulting clients include Danaher, Bank of America, Rolls Royce, JELD-WEN, and California Pizza Kitchen. 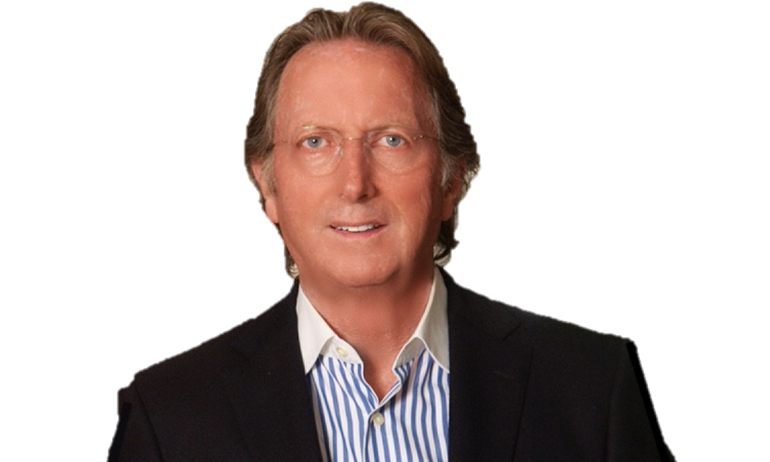 Two times TED speaker, Charles Hazlewood is a British conductor of international renown. He has conducted some of the greatest classical repertoire with some of the best orchestras in the world. But Charles Hazlewood is more than a conductor, he is a visionary with a mission to bring the ever modern joy of orchestral music to a new audience and in doing so, change lives and communities for the better. Dubbed, the 'British Bernstein' by the New York Sun, Hazlewood believes that music can overcome barriers of language, class and culture and has proved this over his career: an opera company recruited from black townships in South Africa that won the Golden Bear Award for best film, a pay-what-you-can orchestral music festival attended by 1000’s of people who had never heard an orchestra live before, and the world’s first orchestra of disabled musicians, who played alongside Coldplay at the closing ceremony of the London 2012 paralympics and continue to tour, world demonstrating the incredible creative talent of disabled people to new audiences all over the world. And these are just the headlines. Hazlewood is not only well known for what he has achieved but how he achieved it. Eschewing the model of conductor as dictator; he has evolved a creative leadership style that has won the hearts and minds of many in the world of arts, business, education, sports, medicine and industry. 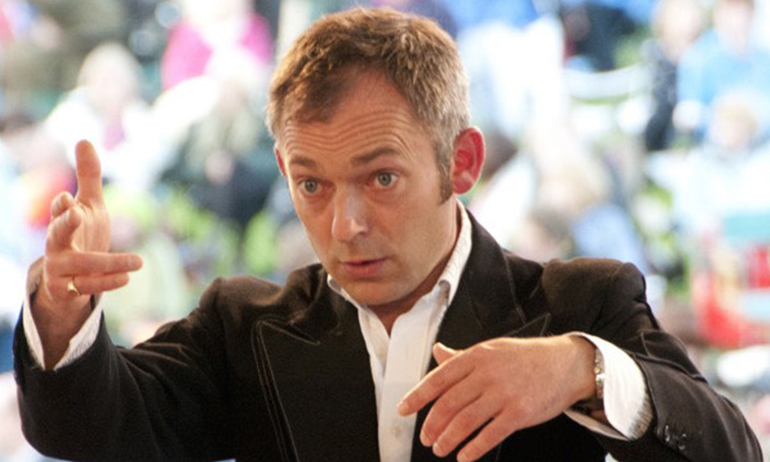 Hazlewood guest-conducts orchestras around the world and is a familiar figure on British TV and radio. 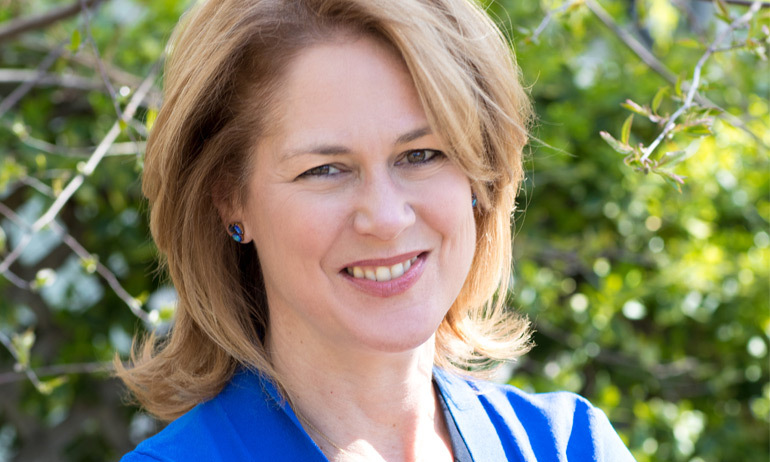 Sheila Heen is a New York Times business best-selling author, founder of Triad Consulting Group and faculty at Harvard Law School. 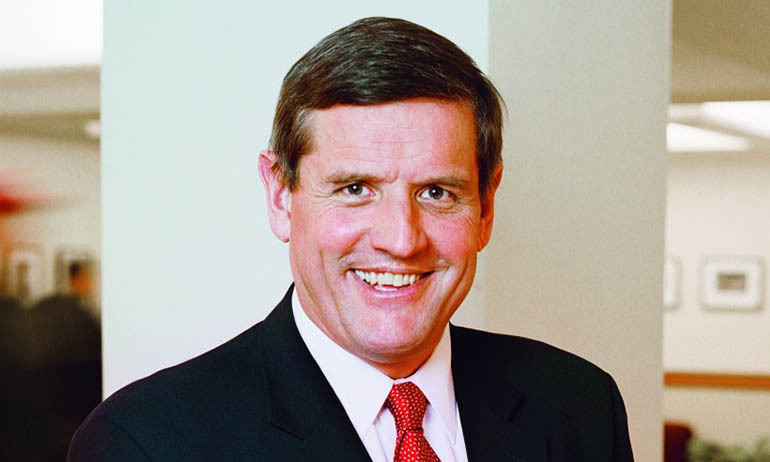 Heen’s corporate clients include MetLife, BAE Systems, HSBC, the Federal Reserve Bank, Novartis, AT&T, Pixar, Workday and numerous family businesses. She often works with executive teams, helping them to work through conflict, repair working relationships and make sound decisions together. In the public sector she has also provided training for the New England Organ Bank, the Singapore Supreme Court, the White House and theologians struggling with disagreement over the nature of truth and God. Heen has spent the last 20 years with the Harvard Negotiation Project, developing negotiation theory and practice. She specializes in particularly difficult negotiations – where emotions run high and relationships become strained. Heen is co-author of the New York Times bestsellers Difficult Conversations: How to Discuss What Matters Most and Thanks for the Feedback: The Science and Art of Receiving Feedback Well (Even When It’s Off-Base, Unfair, Poorly Delivered and Frankly, You’re Not in the Mood). She has been featured on “Oprah,” CNBC “Power Lunch,” NPR, and was among the top rated speakers at the 2015 Global Leadership Summit. Heen is a graduate of Occidental College and Harvard Law School. She is schooled in negotiation daily by her three children. Keynote speaker Vicki Hitzges connects with her audience. She’ll give your group the skills to create a productive, positive work environment. You’ll notice a change in employee morale, increased teamwork and improved customer service. That means you’ll enjoy higher profits. Having happy employees could be the MOST significant factor in your organization’s success! Vicki had a dream first job working in the Dallas Cowboy’s front office. That job led to a career in television in Dallas where she had the privilege of interviewing U.S. Presidents Ronald Reagan, Jimmy Carter, both George Bush and George W. Bush, and Bill Clinton. She attributes her ability to talk to audiences today because she had to think fast and speak to everyone from political figures to business moguls to movie stars and athletes, under the pressure and bright lights of a television studio. Later, as a publicist, she worked to get clients featured in the news. One of her clients, motivational guru, Zig Ziglar, admired Vicki’s creativity and urged her to speak. In fact, she became one of only a few speakers he personally mentored. Within three months, she’d spoken around the world. Due to that rich background, Vicki learned to craft stories, use humor, share practical content and involve her audience. In 2004, she earned the Certified Speaking Professional (CSP) designation. CSP is the highest earned designation awarded by the National Speakers Association to recognize proven expertise and experience. Fewer than ten per cent of speakers worldwide hold the title. 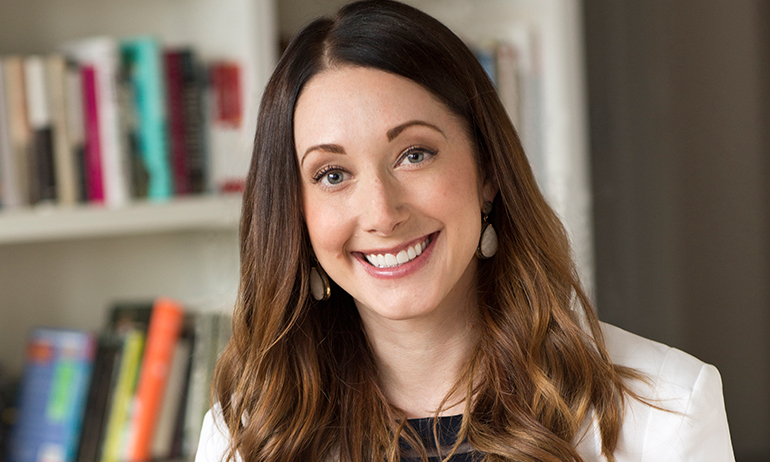 She’s authored two books that enjoy five-star reviews and have sold more than 10,000 copies within the first year of being printed (rare for business books), Attitude is Everything and Stuck on Stop – How to Quit Procrastinating. She’s spoken across the U.S. and as far away as Qatar, New Zealand (twice), Panama and Thailand. Powerhouse clients include Microsoft, Allstate, Cisco, Southwest Airlines, Delta Airlines, New York Life, Chase Bank, GTE, EDS, Bell Helicopter, M&T Bank, the US Marines, the FBI, Baylor Hospital, Safeway, Victoria’s Secret, Deloitte & Touche, Merck, Abbott, and the CIA. 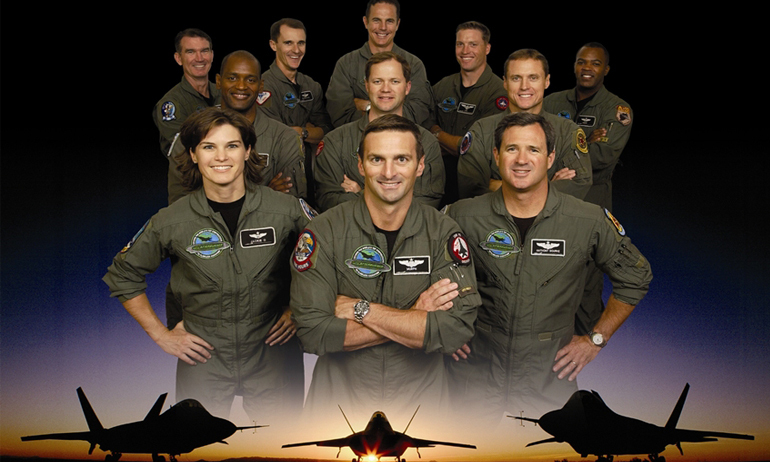 Fighter Pilots who teach leadership, teamwork and motivation skills. Afterburner, Inc trains global organizations to accelerate their performance and ensure a higher success rate for their strategic objectives. Afterburner’s full client list includes more than 150 US Fortune 500 companies. Over 1.7 million business leaders have experienced an Afterburner program and rated their experience an average of 9.2 out of 10. Afterburner specializes in strategic and agile planning and continuous improvement through building a culture of learning, accountability and proven execution in accordance with a simple, scalable improvement processes model, Flawless Execution?. Afterburner’s Flawless ExecutionSM framework provides the necessary structures, collaboration, and teamwork to close the Execution Gap – the gap between what an organization plans to do what it actually achieves. Founded in 1996 by former U.S. Air Force fighter pilot James “Murph” Murphy, Afterburner has ranked among Inc. Magazine’s “Inc. 500 List of America’s Fastest Growing Companies” three times and has been featured in leading publications like the Wall Street Journal, Forbes, Business Week, Atlanta Business Chronicle, Financial Times, Newsweek, and Meetings and Conventions Magazine. Afterburner has also appeared on CNN, CNBC, Fox News, and Bloomberg News, among others. Plan - The plan starts with an objective that is clear, measurable and achievable and supports your company's overall strategy. Brief- You communicate the plan. It is essential that people on the front lines know exactly what is expected of them. Businesses ignore this, often at their peril. Execute- Even with a solid plan and a good brief, a mission can still fail due to Task Saturation or task overload. Task Saturation is the reality or perception of having too much to do without the time or resources to accomplish it. Even with the resources people still have to manage conflicting priorities. We know that as Task Saturation increases, performance decreases; therefore, at Afterburner we help teams combat Task Saturation by identifying resources and managing priorities. Debrief - The last step is the Debriefing. After each mission, Fighter Pilots hold a nameless, rankless Debrief. Each person, without fear of reprimand, rehashes what worked, what did not work and why both the good events and the bad events happened. We then take the key lessons learned from the Debrief and apply them to the next plan. Debriefing speeds up learning. It lets us fine tune the processes that ensure success. Win! - Our goal is to win by aligning your team around a disciplined, scalable process in order to achieve business results. The Sweeney Agency will help you find the best Teamwork Speaker for your event by providing you with all the information you need to make the right decision. We take into account your event objectives, audience dynamics and expected outcomes. We provide you with top Teamwork and Team-building speaker bios, video clips, topic outlines, and independent perspectives on the best speakers available. Working closely with the Teamwork Speaker you choose, we will ensure he or she delivers a customized presentation that informs, inspires and entertains.